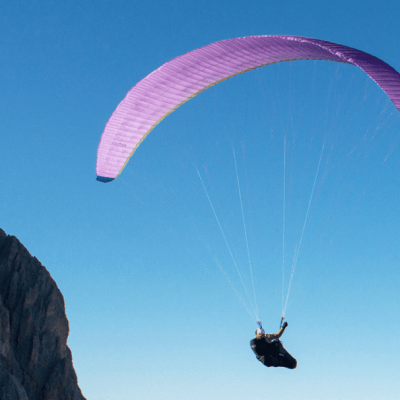 The Dudek Universal 1.1 is claimed by the manufacturer to be the first dual purpose reflexed paragliding and paramotoring glider that can be swapped from one configuration to the other very simply by the pilot. For the pilot that spends time in both disciplines and does not want the added expense of two dedicated wings, the Dudek Universal 1.1 makes complete sense. 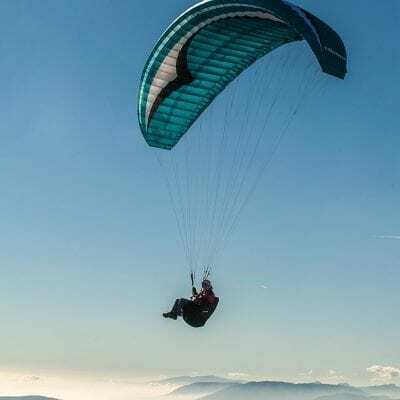 The moderate amount of reflex embodies the glider with great stability when conditions get a little rough. 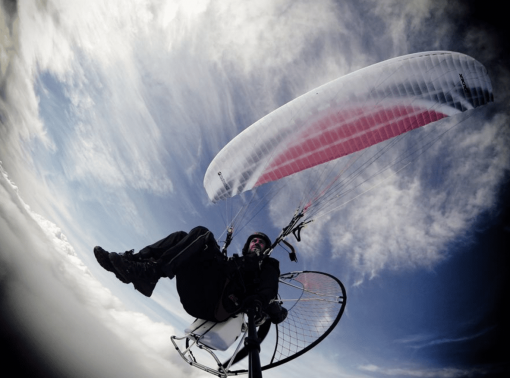 This reflex when flown as a paramotor power wing offers all the usual benefits of the design like solid and fast high speed cruising. 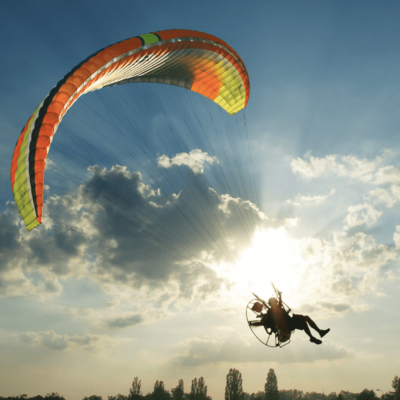 The Dudek Universal 1.1 is certified as an easy ENb for paragliding with easy launch characteristics and under DGAC for paramotoring. 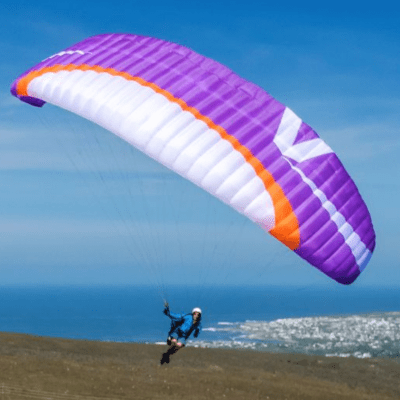 The wing is delivered in paragliding mode and can be converted to a full power glider by installing the supplied wing tip steering kit and enabling the trimmer system. The Dudek Universal 1.1 is suitable for all pilots including beginners that want an easy introduction to what reflex designed wings are all about. 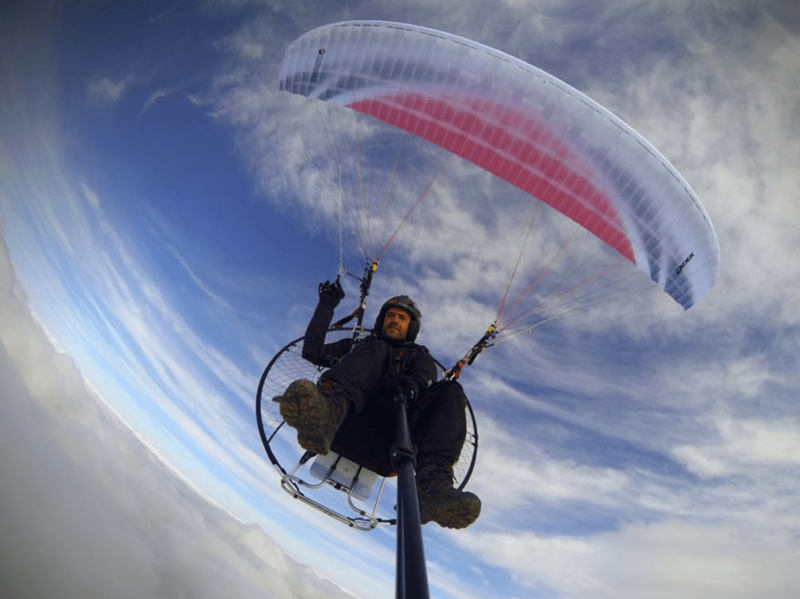 The wing is delivered as standard set for low hang points making it easy to paraglide or paramotor. 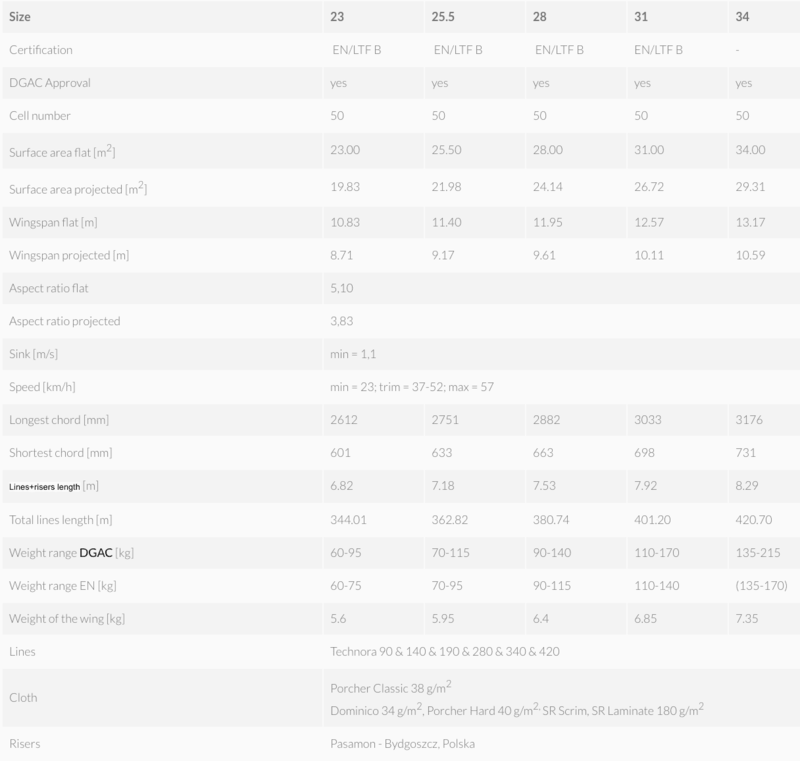 Please state if you would like it set up for high hang points instead. The Dudek Universal 1.1 really is a ‘do it all’ wing and currently at the cutting edge of what reflex designs can offer. Highly recommended. 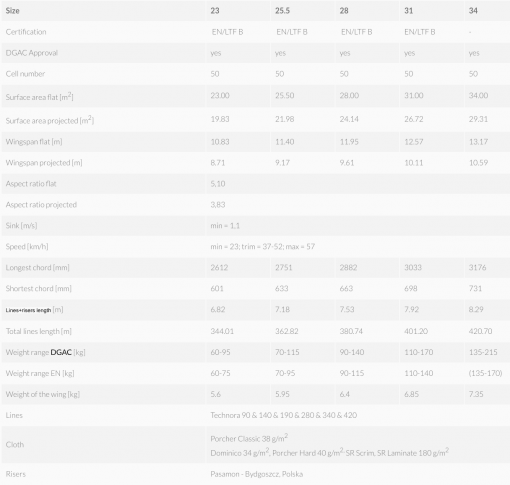 Summary: Dudek Universal 1.1. Designed from the ground up to be a true dual purpose machine. 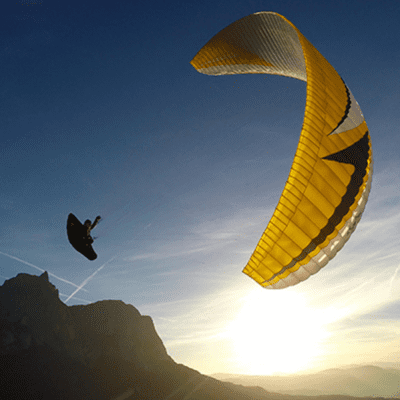 If you want to paraglide and paramotor in equal amounts, this is probably what you have been looking for. Read our buying guide for more information about power gliders and paragliders for paramotoring.